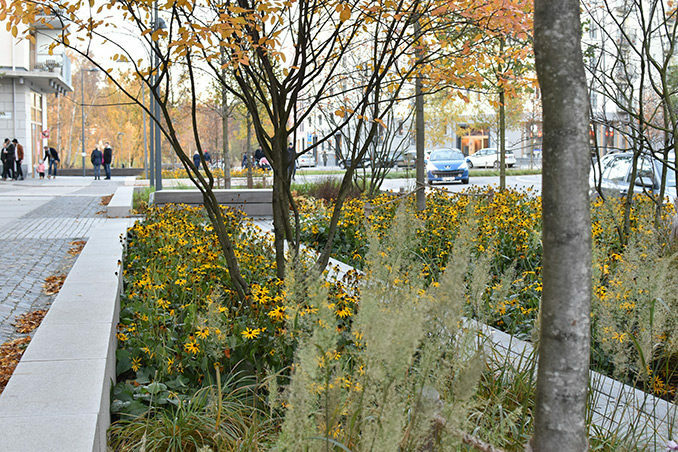 From serving as a stray for transportation and walking, the streets of Norra Djurgårdsstaden now also functions as an element of landscape in the city. 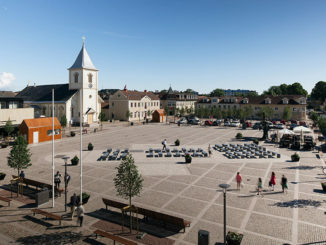 The new district of Hjorthagen, in Norra Djurgårdsstaden, is built on old industrial ground. As a part of an old gasworks/gas house from the early 20th century, the ground holds few ecological values. It’s location between forest-clad steeps and the natural and cultural landscape in Norra Djurgården, which is also included in the National City Park, has made it necessary to create new ecological pathways. 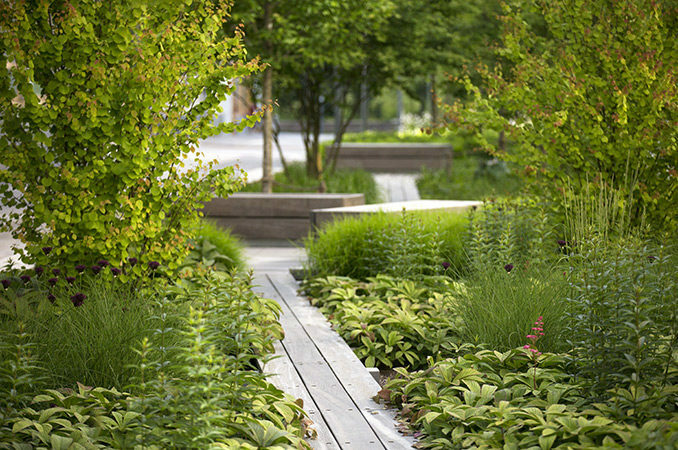 A system of green streets combined with a fine mesh of parks results in a structure of greenery, all playing a part in strengthening and visualizing the ecological relationships. Together Jaktgatan and Lövängsgatan form a green link and main street in the western parts of Norra Djurgårdsstaden. The street stretches between Storängstorget, a central square, in the south, up to Husarviksparken, a park along the waterfront, in the north. 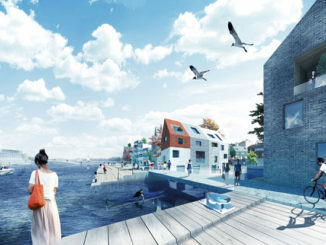 It makes an important link in the district as it connects residential buildings with the bay of Husarviken and the natural landscape of Norra Djurgården. It’s designed for movement at different speeds and it also provides spaces for staying. 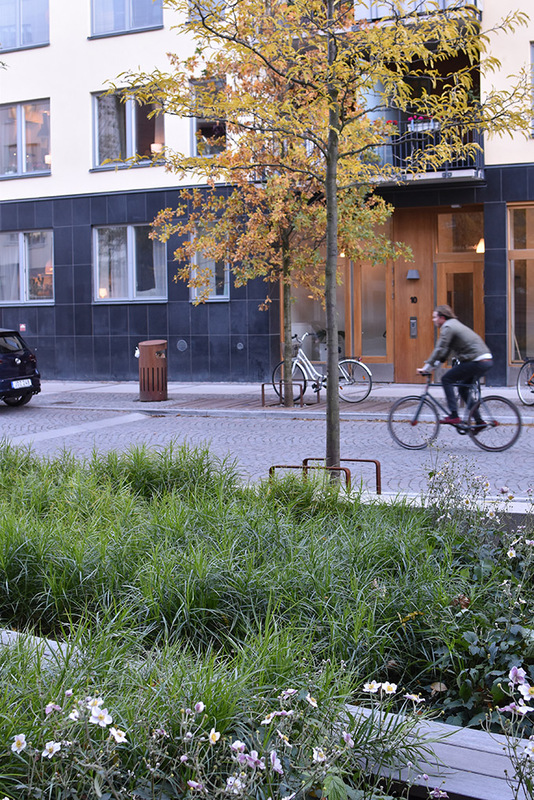 With the width of 25 meters, Jaktgatan and Lövängsgatan, contains a submerged 6.5 meters wide green path, asymmetrically located in the street. 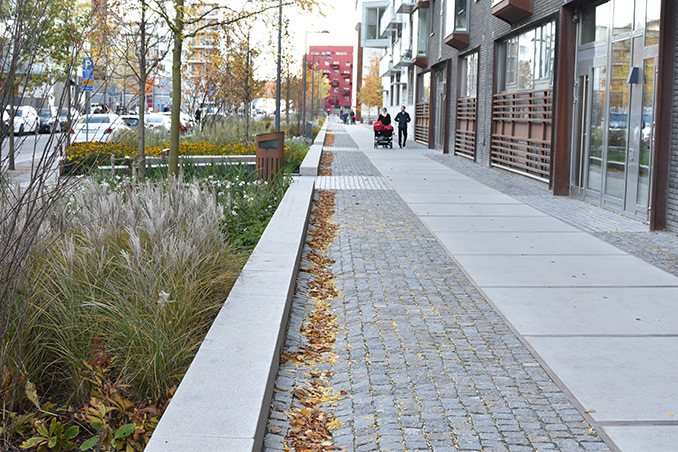 This green outstretched surface handles the stormwater management of the street and contributes to a safe, car free urban space on a large part of the street, where the footway inside stays sheltered. 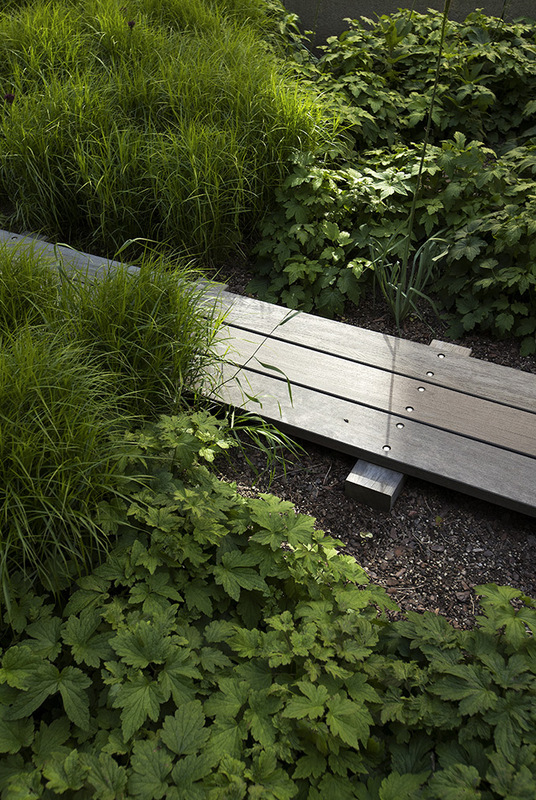 Seatings on wooden platforms are located within the greenery, tied together by narrow wooden footbridges on the ground. Not only do these bridges and wooden seatings add a playful addition to the street, they also offer a tranquil setting for living and staying in an urban environment. 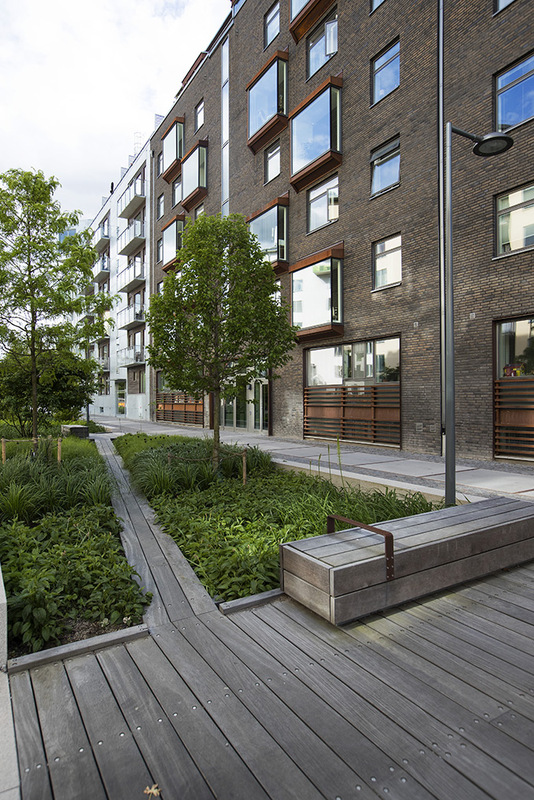 The street is contributing to the overall sustainability of Norra Djurgårdsstaden and strengthens both ecological and social values. 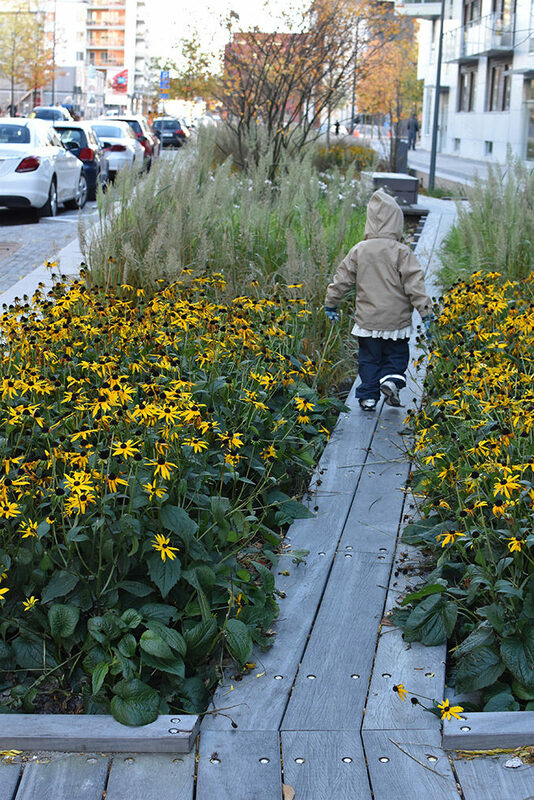 It contributes to a healthy way of living, encouraging citizens to walk, meet and enjoy greenery in their new district.